November 13, 2015 NOTE 3: SALT AND WOOD, alls wood that ends well. 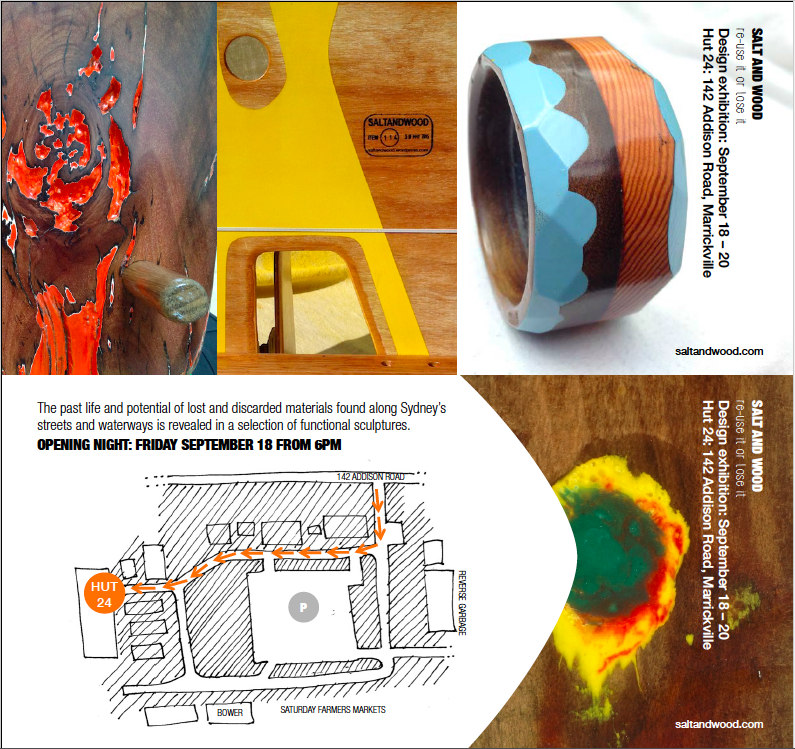 A quick following note regarding the recent SALT AND WOOD exhibition of selected work at HUT 24 Gallery at Addison Road. It was a great success with many ITEMs sold but far more importantly the meeting of many minds and discussions had with a variety of interesting people regarding design, up cycling, timber and more. Thanks to everyone at HUT 24 for your super support and great premises. Following on from the exhibition some ITEMS will be available for purchase from the consignment section of ‘The Bower’ up cycling initiative at Addison Road and also records stands are on display in the shop window of Egg Records in Newtown. Things have been HECTO but I will get more work on line as soon as I can.